Davos emphasizes on the future generations and educates them in the region, hoping that they will stay in Davos also after their education. Thus, not only the established institutes such as the vocational school, the Swiss Alpine Secondary School, the Sports Gymnasium or the Graduate School of the Academia Raetica are strengthened. This shall also prevent the outward migration. By supporting the education institutes, Davos creates a location factor which attracts highly qualified persons and their families (for example as employees of the research institutes, the clinics or the hospital). By boosting the economy, new jobs shall be created and seasonal economic variations are covered. This again offers opportunities for sustainable investments, but also covers seasonal variations of the local economy. About 140 teachers educate 920 pupils in 11 kindergartens and 7 schoolhouses (status 2015). The Elementary School is strategically led through the school council. The principals' committee, consisting of the head of the school and two directors, is responsible for the operational management of the school. The kindergarten aims at the physical, mental and social development of the children and prepares them for entering the school system. The primary school (Primarschule) delivers the basics of the education in order to ensure a connection to the secondary school (Sekundarstufe I, Real- und Sekundarschule). Already on the kindergarten and primary school level, block times and extracurricular education offers are available. Moreover, children with special needs are supported specifically. In every schoolhouse, remedial teachers care for the pedagogical support. In addition, the school offers several options for children with special talents, since August 2015 even in a special class for sports and music talents (Talentklasse). This allows for a perfect combination of education in school and sports/music. 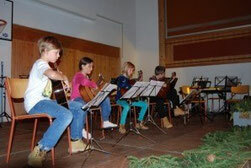 The Music School Davos accompanies and supports children and adults of all education and age groups to experience music as an important factor for their individual identity. The offers invites you for interesting experiments and experiences with your own active work, tailor-made for your individual needs and preferences. The Music School Davos also offers several courses for professionals with links to music or musical education. As a performance mandate, the Music School Davos delivers an integrated and lifelong education path, focusing on music as an essential cultural asset. It contributes to the cultural development of the region by emphasizing on reputation and quality as a competence center in the Davos/Klosters region, the Canton of Grisons and beyond. The history of the Vocational School Davos (Berufsfachschule Davos BFD) is over 100 years old. Originally, commercial clerks as well as sales staff apprentices were educated at the BFD. Later, industrial professions completed the curricula. Today, the Vocational School Davos is the official institution for vocational training in the Landwasser Valley and its surrounding municipalities. The offered curricula range from retail employees to merchants education and carpenter trainings. Moreover, public evening and weekend courses, for example in computer/IT sciences or foreign and domestic languages are offered. The Swiss Alpine Secondary School evolved from the Fridericianum Davos, which was founded as a German boarding school in 1878. After World War II, the municipality of Davos purchased the buil-ding and established a foundation. This foundation still leads the private secondary school nowadays. At the Swiss Alpine Secondary School Davos (Schweizerische Alpine Mittelschule SAMD), about 260 students are taught by 40 teachers. For students from other regions or countries, the SAMD is conducted as a boarding school. The Swiss Alpine Secondary School Davos offers a long- and a short-term secondary education. Since summer 2015, a bilingual curriculum (German/English) is offered as well. 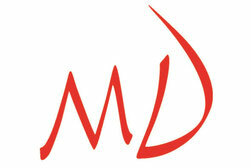 Moreover, the SAMD offers a talent development programme for natural and technical sciences named SAMDplus. Approximately 130 students are currently attending the Swiss Sports High School Davos (Schweizerisches Sport-Gymnasium Davos). All of them are top-ranked youth athletes in different sports such as ice hockey, cross-country skiing, alpine skiing, snowboarding, tennis or golf. The school offers various curriculums according to the individual needs and goals of the athletes/ students and serves as a boarding school. Since the foundation was established in 1997, a total of 286 athletes (as of 2014) have completed their studies at the SSGD. The most popular graduates are, among others, Iouri Podladtchikov (snowboard world champion and olympic gold medalist), Jonas Hiller (NHL ice hockey goalkeeper), Markus Keller (snowboard world champion), Marc Berthod (alpine skier), Marc Gini (alpine skier) and Toni Livers (cross-country skier). 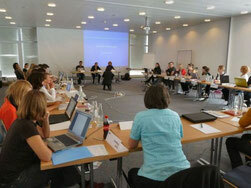 The Swiss Text Academy is a federal foundation established in 2001 by Professor Dr. Ivo Hajnal and Franco Item. From the beginning, the focus has been put on the German language as a tool of the mainstream media and corporate communication. The initiating basis for the foundation was built by the association “Magic Mountain Club” in Davos. The aim of the association founded by Tourism Director Bruno Gerber was to find and support young entrepreneurs with business ideas for and in Davos by providing a big network, among others with members such as Hilde Schwab, wife of the WEF founder Prof. Dr. Klaus Schwab. In January, June, August and December, the students of the Swiss Text Academy are welcome in Davos, where they study for three to four days per course. The Swiss Text Academy is a partner organization and competence center of the Zurich-based business school HWZ (Hochschule für Wirtschaft Zürich) . Around a billion people worldwide are affected by allergic diseases and asthma. Research efforts have been made for nearly a century to unlock the secrets of these scourges of humanity. Yet there continue to be sizeable gaps in our knowledge about these diseases due to the lack of scientific knowledge, the preventive and therapeutic options are still limited. The declared aim of CK-CARE is to promote research, education, and prevention in the field of allergies and improve the implementation of research results in clinical care for the benefit of affected patients. The International Diagnostic Course Davos (IDKD) was founded in 1969 with the aim of organizing annual postgraduate teaching courses in Diagnostic Radiology. The IDKD prides itself in its motto: “Excellence in Teaching”. The course programs are organ-based with the following topics, repeated every 4 years: Brain, Head & Neck, Spine - Chest, Heart and Vascular System - Musculoskeletal Diseases - Abdomen & Pelvis. The courses consist of highly interactive workshops, highlight lectures and a Film Reading Panel, which is a competition of eminent teachers in radiology, who solve interesting and difficult diagnostic problems by interpreting imaging studies in front of the audience. The program is completed by an exhibition of recently developed industrial products and current educational texts. Three Satellite courses on nuclear medicine, pediatric radiology, and breast imaging are preceding the main event. The scientific program of the course is led by the IDKD Course Directors: Prof. Jürg Hodler, MD, MBA; Prof. Rahel Kubik-Huch, MD, MPH; and Prof. Gustav von Schulthess, MD, PhD, MD hon. Teachers at the course are some 50 internationally renowned experts who in the workshop teach the students in groups of up to 60. The case viewing is supported by a special software, uniquely developed for the IDKD and drawing from the extensive expertise with electronic teaching. Participants also receive a course syllabus, representing a condensed version of the workshops in printed form. 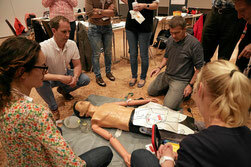 The courses in Davos are counting an average annual number of 1000 participants. In addition to the course in Davos, IDKD is running shorter, so called “intensive courses” in Athens, Beijing, Hong Kong, and Rio de Janeiro. IDKD is a Swiss non-profit organization, which is called “Foundation for the Advancement of Education in Medical Radiology” with a domicile in Wallisellen, Canton of Zurich.